Another remote access control software for your PC and Mac – LogMeIn. Remote access is controlling a PC or network of PCs and sharing files, documents with others from another location, just like you connect from home. 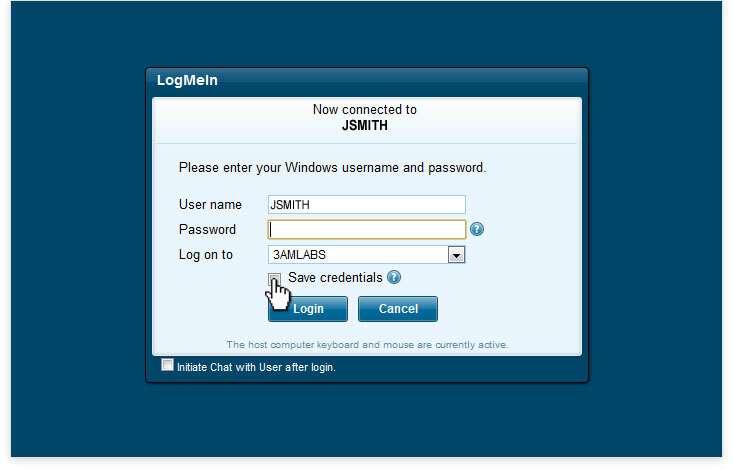 LogMeIn is the software which can access remotely and connect to your PC via internet. No PC admin rights are required. No Firewall and proxy configuration or router. Operating Systems – Windows 8, 7, Vista, XP, Server 2008, 2003, 2000, 98 and NT. Web Browsers – IE 7, Firefox 3.0 or greater, and Google Chrome 2.0 or greater. 1) First, install LogMeIn latest version of Free or Pro software in your PC or Mac. 2) Please ensure that to run the program on host PC (the computer which you are targeting). 3) Please ensure that the host computer is turned on, has an internet connection and doesn’t get into Sleep or Hibernation Mode. If the host computer is in Sleep or Powered Off mode, use “Wake Up LAN” method to wake it up. 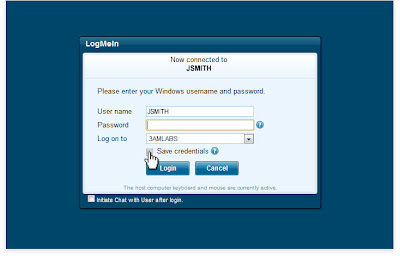 4) Next, go to www.LogMeIn.com. 6) On the Home tab, click the connection option to gaining access of a computer. 7) Click the “Main Menu” to connect to the host Menu for remote access and click on the computer name to start accessing the host PC. 8) Click the “Dashboard” -> “File Manager” for advanced remote access configuration. 9) Log in to the PC using any of the two authentication methods – Username & Password or Computer Access Code. 10) Upon successful authentication, LogMeIn session starts and you could share the files you choose. 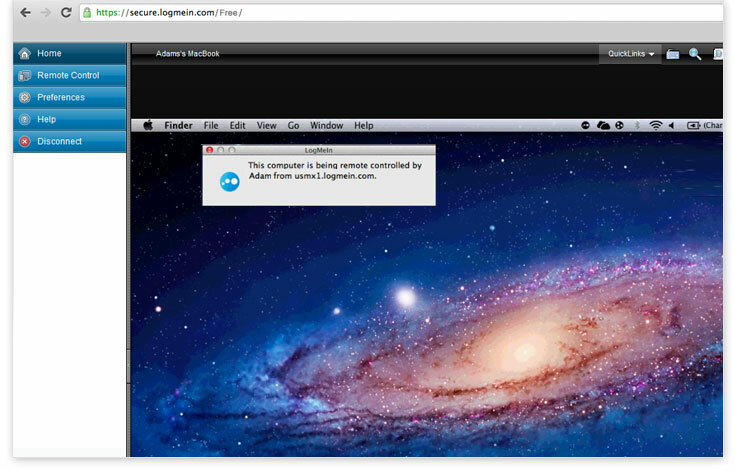 Can remotely access your Windows PC or Mac OS X systems via internet from any location. 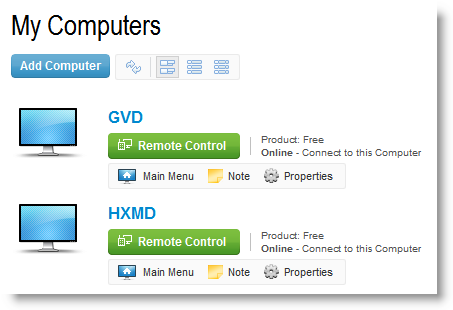 Can access multiple remote systems. Can access from any web browser. Can manage the files, folders, documents, and everything on your PC desktop. You can even open files, check your email, and run programs. Copies or shares files between two inter-connected computers. Remotely initiate a computer, when your computer sleeps. Remotely reboots or reconnects your system, even in safe mode. Chat with colleagues who use your PC at office. Can be very useful while giving project presentations like sharing your files, desktop viewing, etc. Sends basic reports on user access usage and session logs. Encrypts your shared data and connection with AES 256-bit encryption method. Protects your PC with SSL/TLS intrusion detection, where your PC doesn’t get affected by intruders and hackers. Hides your system IP address because of security reasons. You can also connect PC from iPad/iPhone and other Android devices. 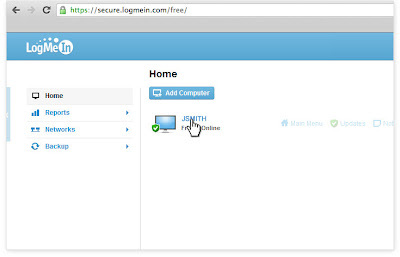 For that, you need to install LogMeIn on your Mobile or Tablet PC. 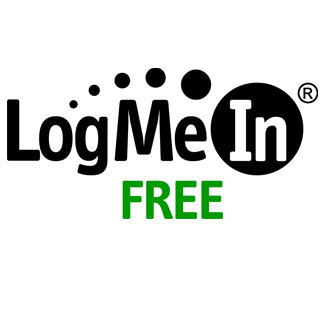 You can even try LogMeIn Pro version for features like full remote access, file transfer, remote printing and file sharing. To know the download information, features and pro account details, please follow the download button.